A formulated to ensure 100% complete and balanced nutrition for your cat, supplying essential nutrients needed to promote strong muscles and bones, a glossy coat and bright eyes. 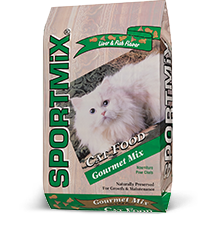 Gourmet cat combines chicken, liver, and fish flavored pieces to produce a taste that cats love. 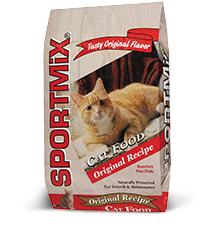 It is formulated to a special balance of protein, fat, vitamins, and minerals essential for cats.